Myrrh is a thick, aromatic, reddish-orange tree resin that has been used by peoples from Africa and the Middle East for thousands of years. This rich, sticky oil is highly prized as a powerful cleanser, helping to clear the skin of impurities. A fantastic rejuvenating oil, this is a superb choice for facials and toning body oils. 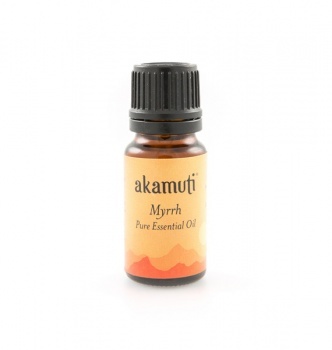 Warming, anti-septic and aromatic, myrrh is ideal for using in a chest rub too. We recommend: Blending with frankincense for a superb facial oil to keep the skin supple & fresh.